Zanskar combines our 40 years of expertise in leather walking boots with the latest sole unit technologies to create a boot which is the epitome of what a general purpose hiking boot should be. Your perfect partner for backpacking, hiking and hill/mountain walking. The upper is made from selected premium quality 2.6mm European leather in choice of full grain or nubuck finish to suit all tastes. A generous full length rubber rand protects the upper from abrasion and our unique Dry-Line® lining system is fully waterproof and has superior moisture vapour transfer performance to help keep your feet dry in all weathers. When working with natural leather there is no substitute for experience and at Boreal each hide is individually inspected for the slightest imperfections and is cut by hand to ensure a high quality finish. The Vibram® Fuora Evo outsole is durable and has a deep lugged tread pattern for great traction in all conditions. A feature on Zanskar worth emphasizing is our new midsole which has a soft cushioned EVA top surface and greatly enhances underfoot comfort. This, combined with our new sole unit platform with an extra shock absorbing foam plug under the heel, and improved torsional stability will keep your feet happy and you trekking for longer. 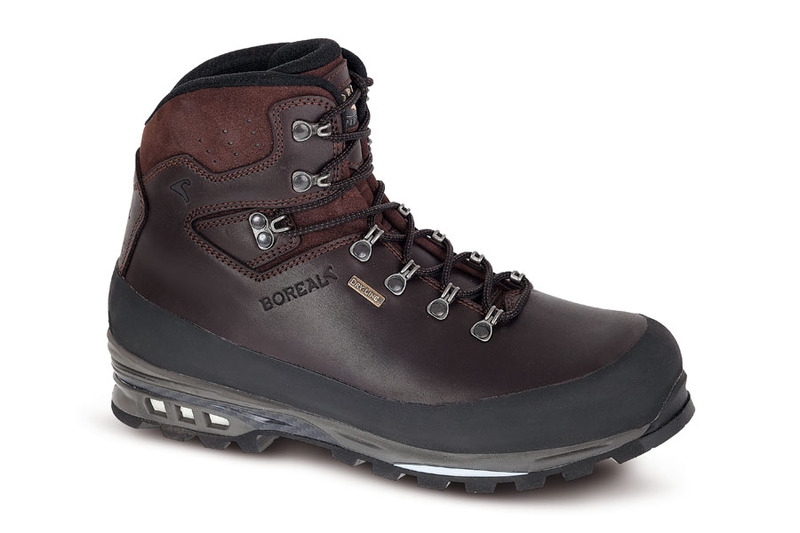 Kovach combines our 40 years of experience in leather hiking boots with the latest sole unit technologies to make a boot which both robust and superbly comfortable. Kovach is cut higher at the ankle for extra support and is stiff enough to use with a flexible strap-on crampon making it excellent for year round hill and mountain walking.